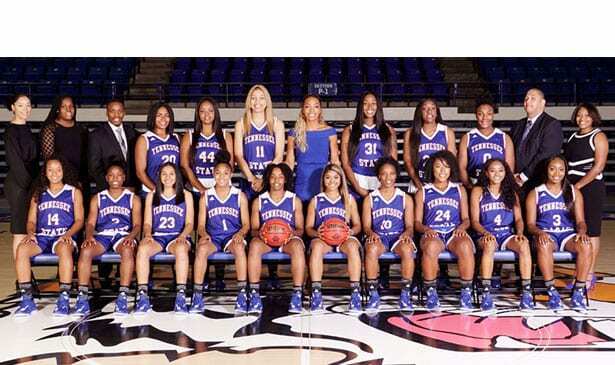 The Lady Tigers of Tennessee State University have had some close losses in the early season, but Saturday night they got their first victory in easy fashion 93-48 over Fisk University at the Gentry Center. The game was pretty much over in the first few minutes as the Lady Tigers scored the first nine points and soon had a 14-point lead at 19-5. It didn’t hurt that TSU shot over 50 percent for the first half, while building a huge lead and eventually nearly winning by as many points they surrendered. Their defense also held Fisk to 25 percent shooting for the game. The Lady Tigers were led once more by Tia Wooten, who has emerged in the early season as not only one of their top players but one of the best scorers in the Ohio Valley Conference. Wooten had her second double-double of the season, getting 20 points and a career high 12 rebounds. She was one of five Lady Tigers in double figures, with the others being Franceska Brown (19), Taylor Roberts (18), Kaliya Griffin (12) and Taylor Williams (10). Brown also added nine rebounds. Maxine Beard had seven assists, and Griffin had three steals. It was the 10th victory in the series for the Lady Tigers, who’ve never lost to Fisk. The Lady Bulldogs dropped to 2-10 for the season. Both the TSU men and women are now on the road, with the TSU men playing exclusively away from Gentry Center until the first week of January. The Lady Tigers traveled to Louisville Tuesday night to face a team that began the week ranked fourth in the nation. The men headed to Alabama State, who were playing their first home game of the 2017-18 season. The Lady Tigers entertain Lipscomb Friday at Gentry Center.